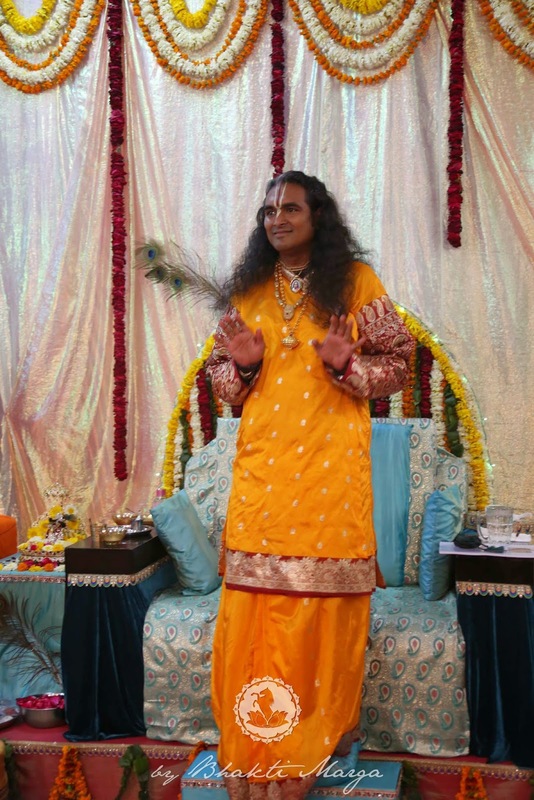 Sri Swami Vishwananda had His first ever Darshan in Vrindavan today. More than the Darshan itself, it was amazing to see how the Bhakti Marga family worked together to set up for Darshan. Everyone was willing to do what they needed to make sure the Darshan was a success. 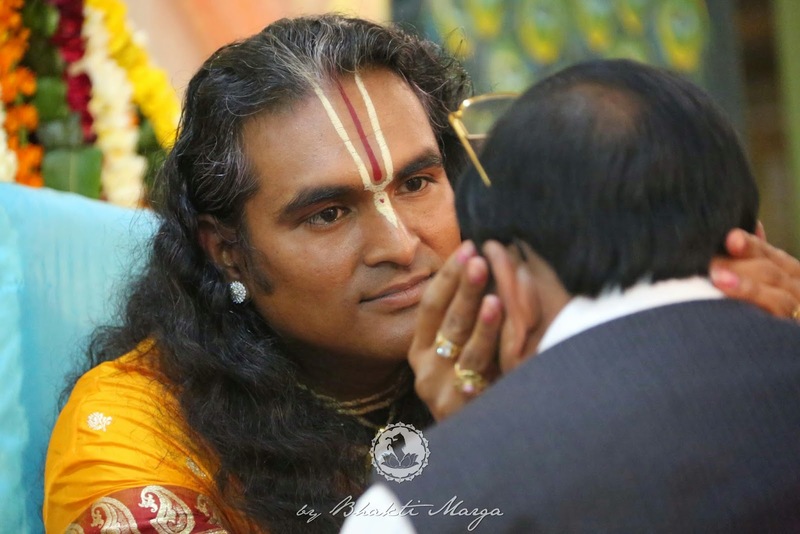 As a result many people got to see Swami for the first time and receive His blessing. 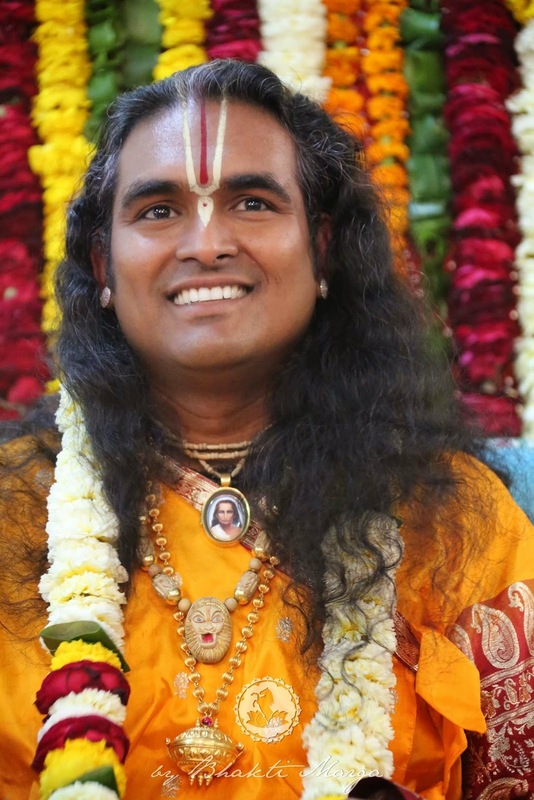 Swami set the foundation for amazing things to come in this Country. 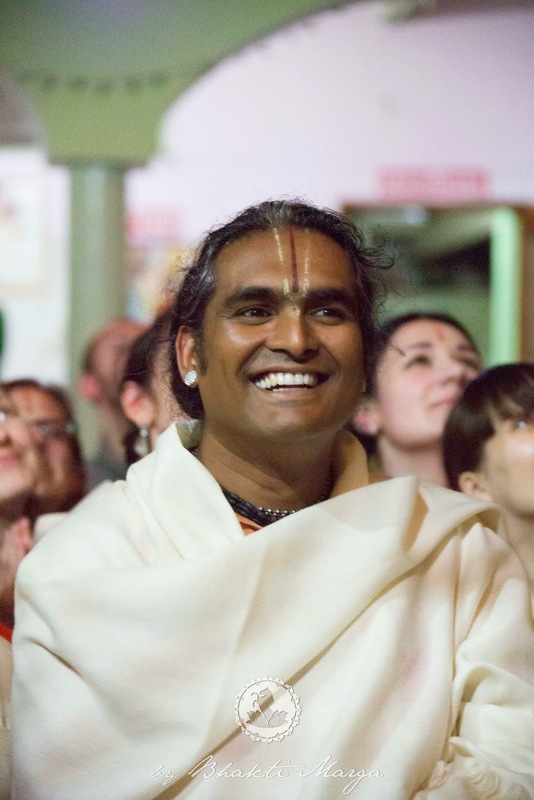 He is uniting the West with the East and reviving Sanatana Dharma in a time when we are all longing to realise the Love we have inside of us for God. 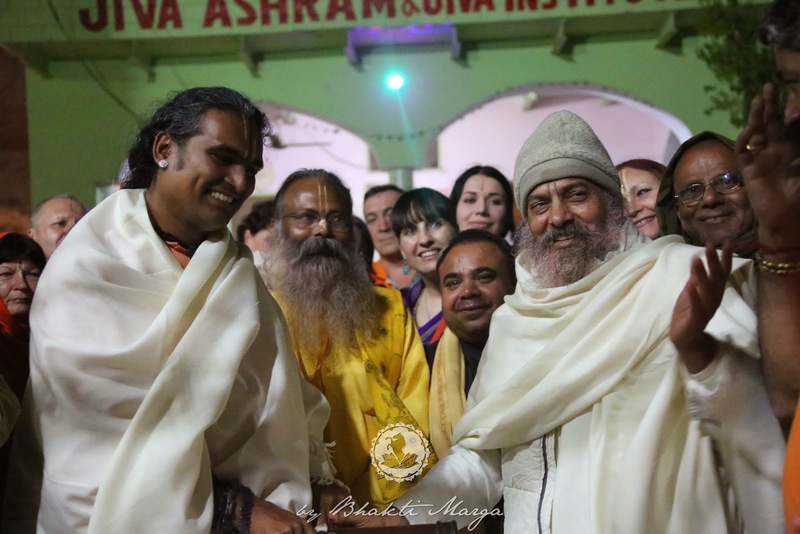 Swami left Vrindavan on the afternoon of March 9th, 2015, and the 8th was the last full day of the pilgrimage. After Swami left, Swamini Mohini and Swami Paranthapa held a satsang to discuss how the trip was for everyone. It was nice to see the changes that people went through in this trip. Most people were scared of India, they were anxious about the dirt, the people, and the crowds etc… But as the days went by we started seeing the spiritual side of India … the “old Vrindavan.” We were able to experience a side of India that most people never get to witness. We had the Grace of Swami to long for God in Vrindavan. It is a feeling of pain and pleasure at the same time. This type of feeling or “bhav” is what the Gopis had for Krishna. It is said in the Gopi Gita that there are two types of love; the Love you feel when you are with your beloved and the Love you feel when you are longing for your Beloved. Out of the two, the longing is better because it is much more intense. 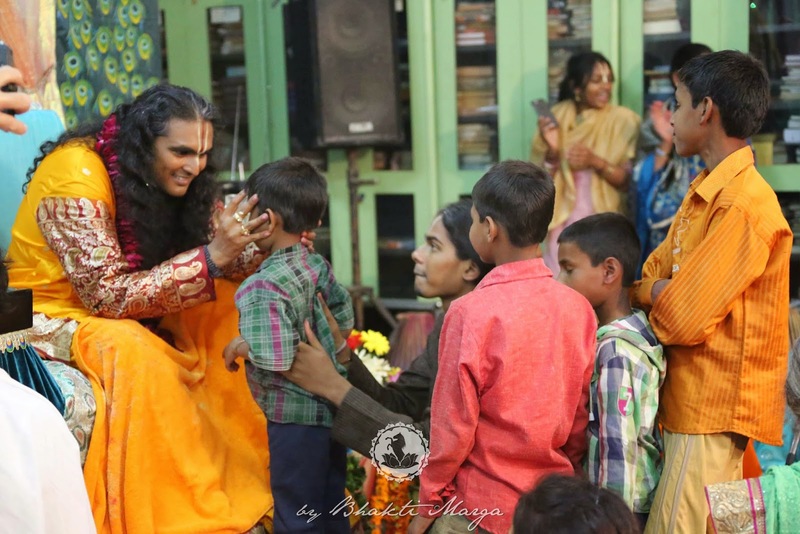 In Vrindavan everyone is longing for Krishna … everyone is Radha waiting for Krishna to come back.